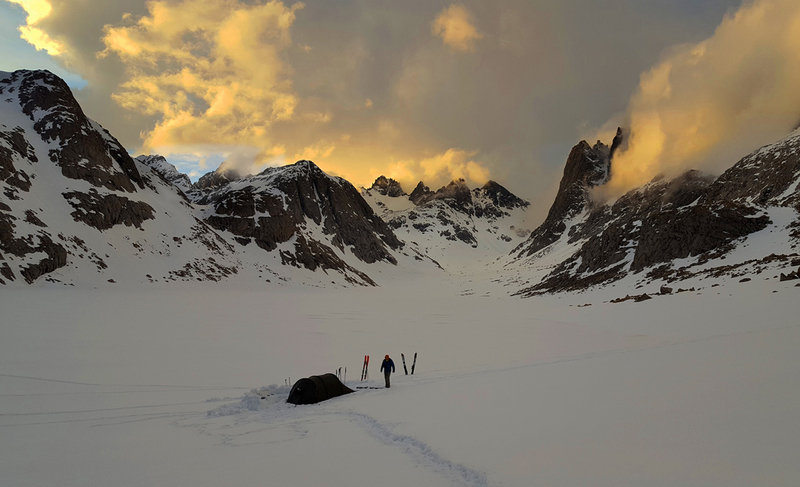 Storm clouds, sunset light and 2,000 foot granite walls were only some of the views that Jeff, Alex and I witnessed as the only humans in that part of the Wind Rivers – for the entire week. 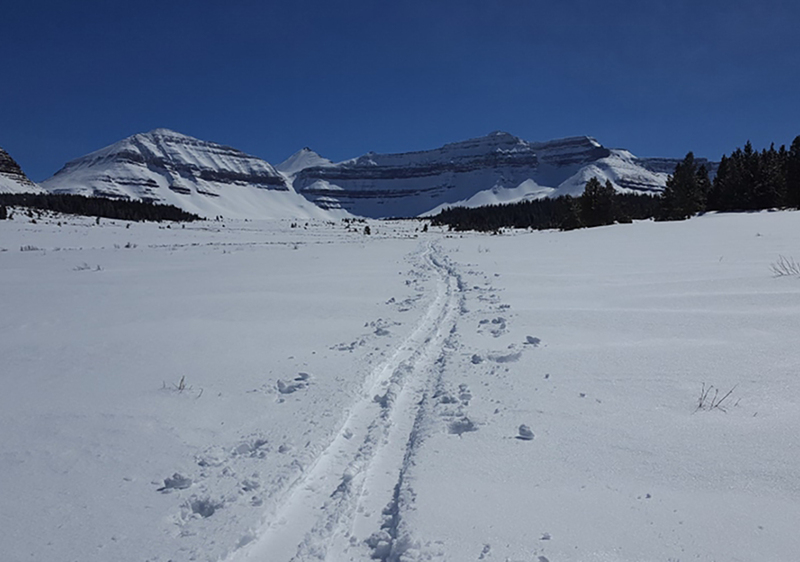 Winter and ski backpacking is enjoyed by a fraction of total outdoor users, which leaves beaten-down summer basecamps deserted and erased under snow. Experiencing solitude on a level with frontiersmen and Native hunting parties of the 1860s can be the most rewarding form of camping. Since the “Skiing States” project started I’ve had to hone my winter backpacking skills as skiing the highest points in the continental USA requires well-rounded skill sets. Ski backpacking was always a part of my travel: from Peru to Eastern Europe to the Garhwal Himalaya, I explored and made human-powered skiing a part of every adventure. In parallel to international adventures, I really wanted to know about America’s great wild places and public lands. 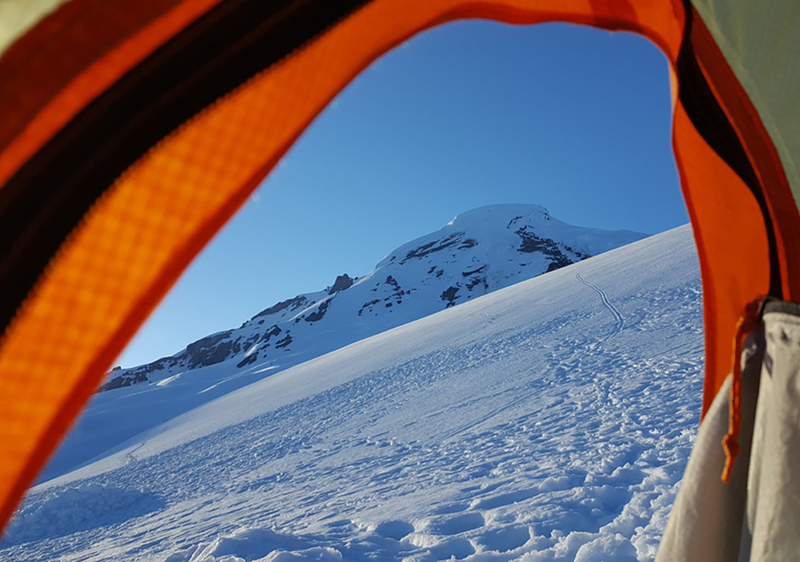 From cross-country skiing in -20F in the the wilds of upper Michigan, to intense summer sun on Mount Rainier’s glaciers, I’d have to learn to love camping in the snow, and absolute isolation on the solo trips. Being able to travel deep into snowy wilderness beyond the day-trippers unlocks the most wild and inaccessible places you’ll ever see. To do this you’ll need to nail down systems which are highly dependent on testing gear and what works with your body. Your height, body shape and metabolism all matter in this game. Sleeping comfortably was a challenge I often struggled with when I began winter camping in 1997. Twenty years later was still perfecting my kits. 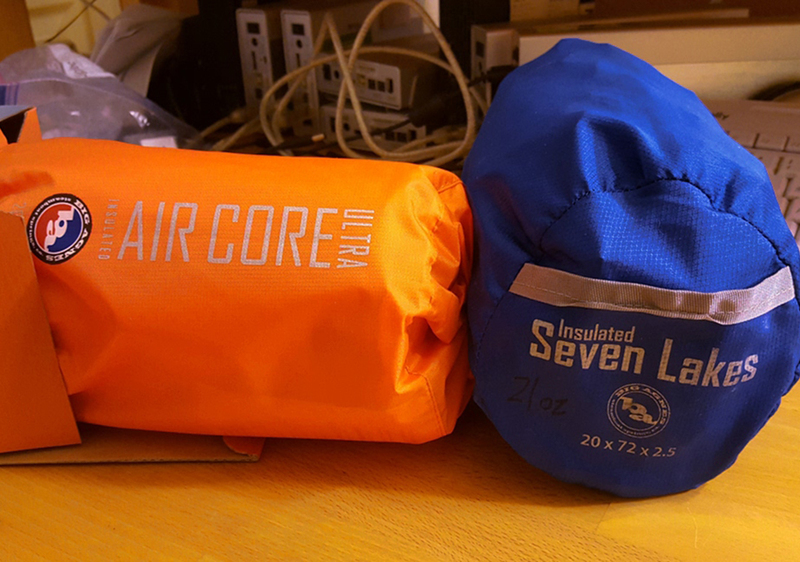 I discovered the Air Core pad series by Big Agnes at a certain point in the project and it made all the difference. Being 6 foot-plus with big shoulders, the 2.5” pad finally allowed me to sleep on my side and get better rest. In more extreme cold, I developed a system of using a small sitting pad or full pad, like the Third Degree underneath the air pad for extra insulation. Since 1998 I’ve been carrying DSLR and video cameras into remote locations for clients or my own projects, and I need a lot of space in my pack. The Air Core pad was 50% smaller than my previous pad, which was great! This winter I’ve upgraded to the Insulated Air Core Ultra pad, which is better rated for cold and provides an extra inch of height. The best part is that it occupies the same volume and has the same weight. 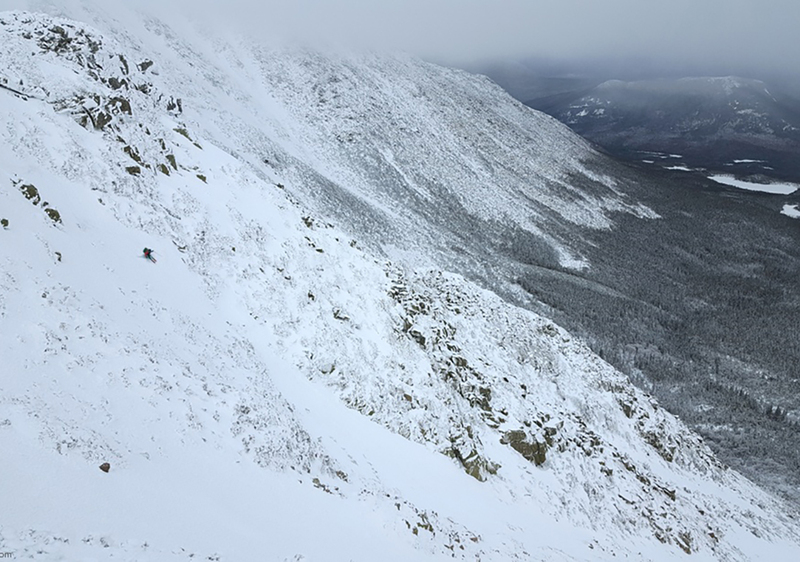 March 2019 marks the start of safer snowpacks and the start of the final leg of the 21-year project. I’m headed back to a few of the peaks for re-shoots and will cap off the project with Granite Peak, MT. With a new tent and pad system, my campsite will once again be a nice tiny home in the vast wild landscape. Mike Whelan works in media in Colorado. His films of skiing the state high points are encapsulated in the “Skiing States” series on his YouTube channel. Follow him @ski_treasuredheights to see more of his backcountry and ski backpacking adventures.